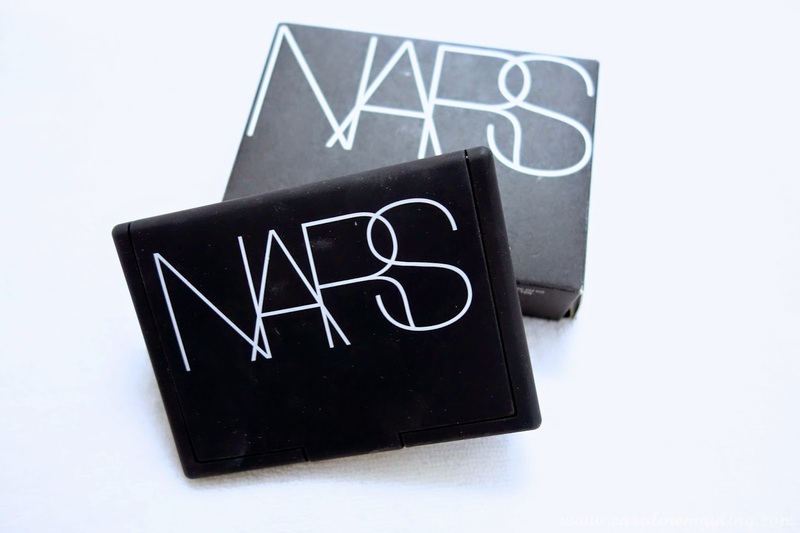 One after another of my NARS fave product! 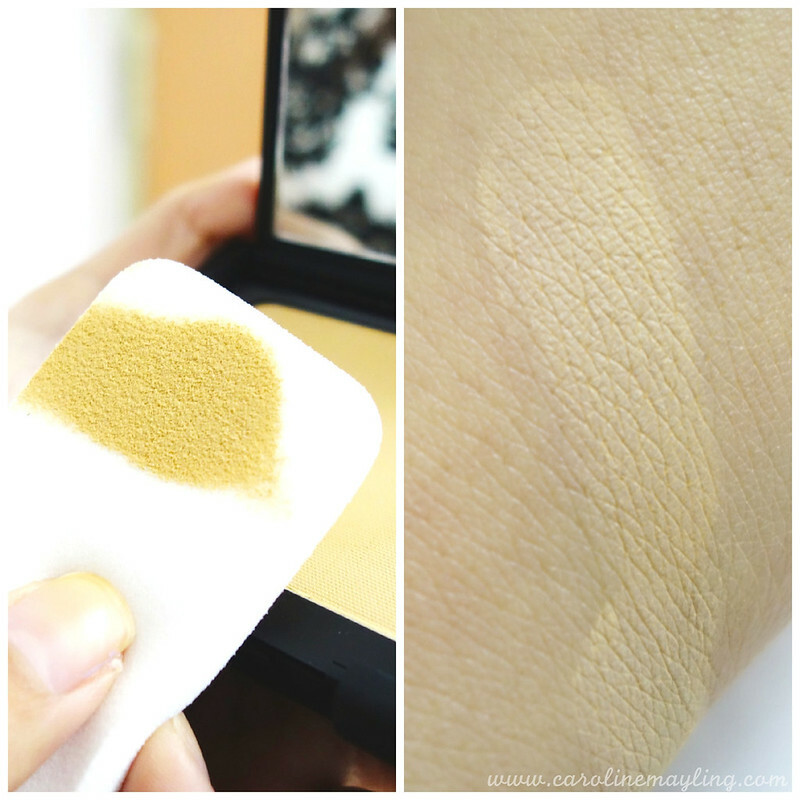 This time, we're going to talk about the very much raved about NARS Powder Foundation! The sleek black packaging is totally love! Of course, that's the signature packaging. This is how it looks like upon unboxing it. An advanced, lightweight formula that fuses the performance of a foundation with the ease of a powder. Skin looks perfected with a soft-matte finish and is protected against UVA and UVB rays. Incredibly versatile, it may be applied with a powder brush for a sheer, natural finish, or with the included sponge for a polished and smooth finish. 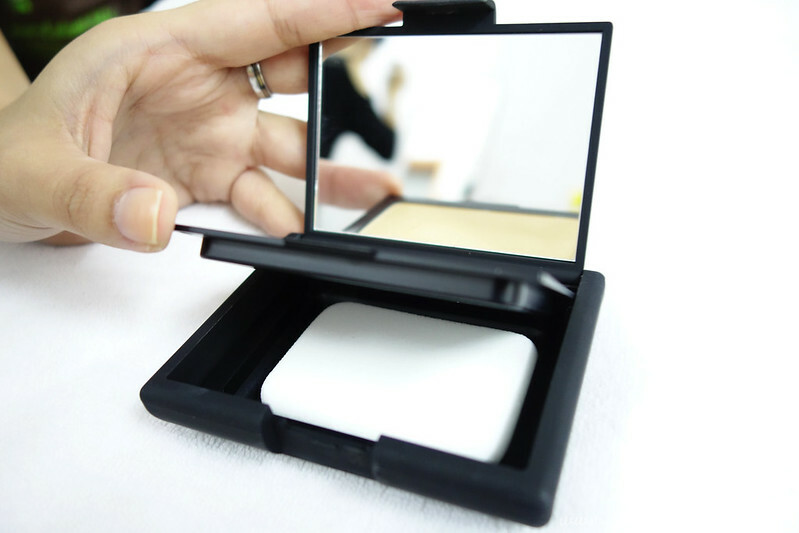 As you can see from the pictures above, it has two different compartments where the you can have both powder foundation and the sponge included are nicely separated. I always prefer this way as it is somehow more hygienic (maybe it's just me? :p) especially after each sponge cleaning. The sponge included in the product is super soft and dense. It gives that smooth and medium coverage finish on your makeup with it. It also has SPF12 and PA+++ protection to protect your skin from the sun ray damage. Oh, look at that soft matte finish on the skin! It is really easy to apply it onto my face. How versatile it can be? 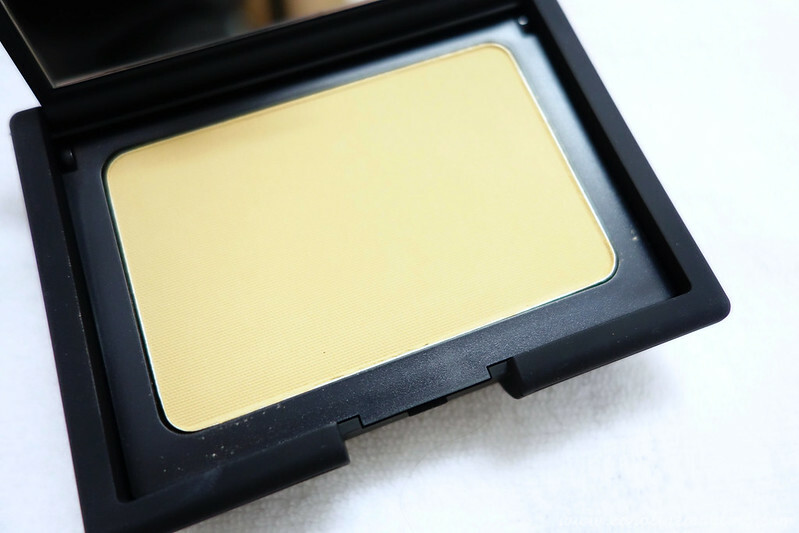 I uses the included sponge to apply the powder foundation onto my face by patting motion for a medium coverage and in swipe motion to have polished sheer coverage. Apart from that, I also can use my powder brush to apply it onto my face to set my makeup in order for it to last long. Last but not least, as a touch-up kit! 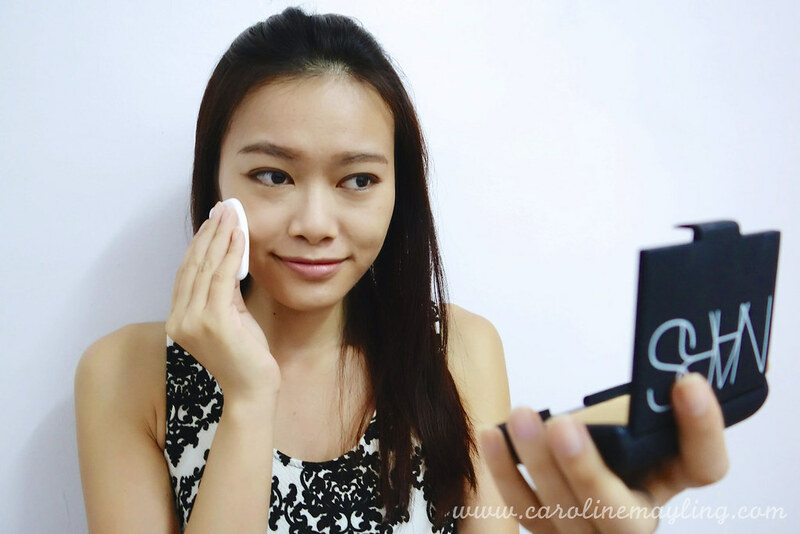 This way, you can have shine-free makeup throughout the day for sure. Yours truly certainly love the lightweight texture and non-drying velvety finish after each application of this product on my skin. 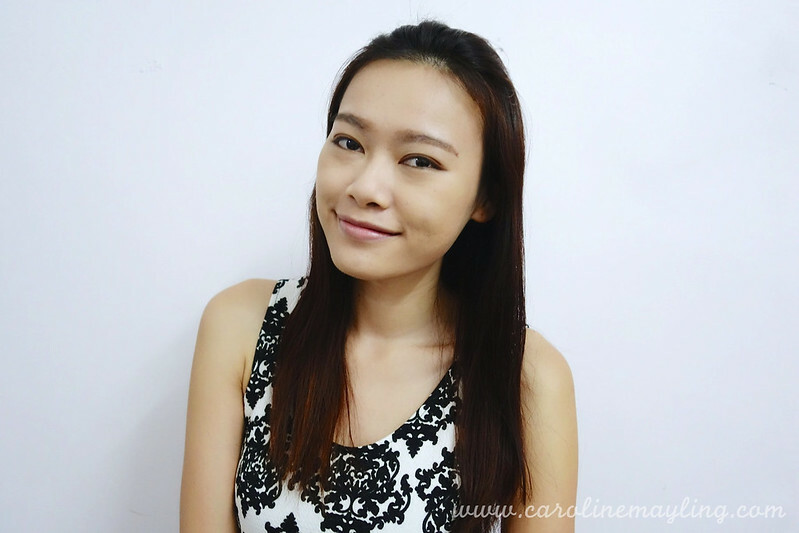 I normally would apply it on top of the application of my NARS Pure Radiant Tinted Moisturizer SPF30/PA+++ to create a rather plain yet flawless makeup on a daily basis. There's also times where I just wear it alone for a much more natural look when I do nothing but running errands without worry of sun protection as it has SPF12 and PA+++ protection too! 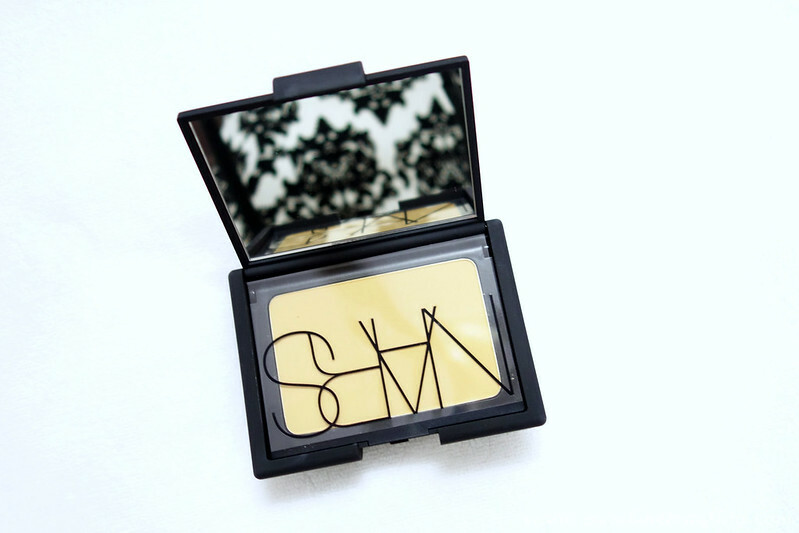 If you're looking for a multi-task product, you know this is definitely a must-have NARS item!